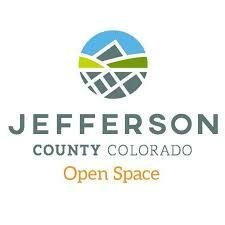 Jefferson County Open Space will host the second Front Range Open Space Research Symposium in partnership with Boulder County Parks and Open Space and City of Boulder Open Space and Mountain Parks. The intent of the Symposium is to help inspire coordination, collaboration, and partnership among scientists and the community. During this event, participants will hear presentations by scientists who have conducted research across the Jefferson County, Boulder County, and City of Boulder open space systems on important land management topics including recreation impacts, flora and fauna surveys, conservation, and riparian biodiversity and restoration. The Symposium will be held from 8:30 a.m. to 4:30 p.m. on Friday, April 19 in the Lakewood Cultural Center. Attendance and parking are free. Parking is limited so carpooling is recommended. You are also encouraged to bring your own reusable coffee cup and/or water bottle to reduce waste. ← Please join us for the next Metro DNA Stakeholder Convening!